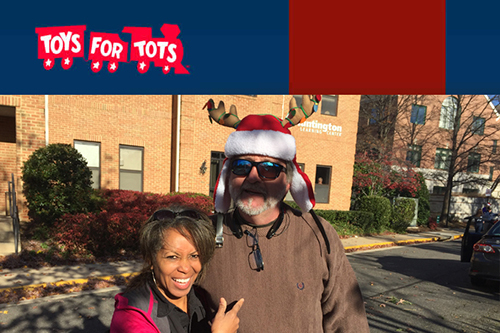 ServiceMaster NCR supported the Keller Williams Realty Kingstowne sponsored event “Greetings Virginia” benefiting Toys for Tots on Saturday, December 3, 2016. 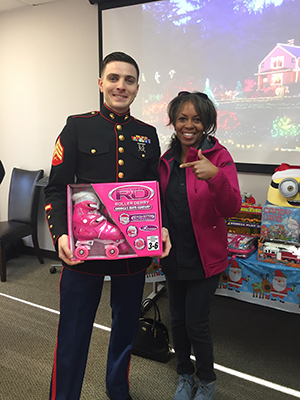 The mission of the U. S. Marine Corps Reserve Toys for Tots Program is to collect new, unwrapped toys during October, November and December each year, and distribute those toys as Christmas gifts to less fortunate children in the community in which the campaign is conducted. Dianne with the US Marine representative as she makes her donation. Dianne was in awe as she saw the teams of volunteers putting Christmas trees on the tops of vehicles. Dianne spoke with Stephanie Dickens from Storer Insurance Agency – Nationwide Insurance and learned that the volunteers came from the West Springfield HS football team and SYC (Springfield South County Youth [soccer] Club to help distribute the free “Trees for Toys”. A tree was available for every person who donated a toy to Toys for Tots at KWKingstowne. Local area youth helped to put trees on vehicles and tie them down to make the trip home. 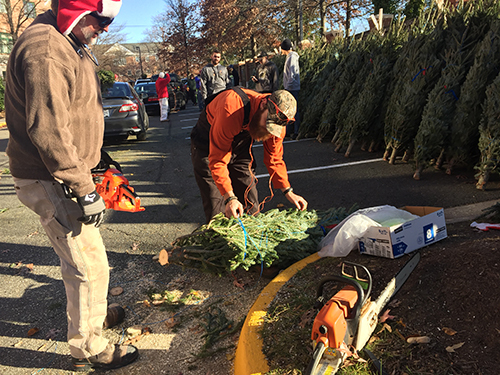 Thank you, KWKingstowne for coordinating this drop site and providing the beautiful Christmas trees!